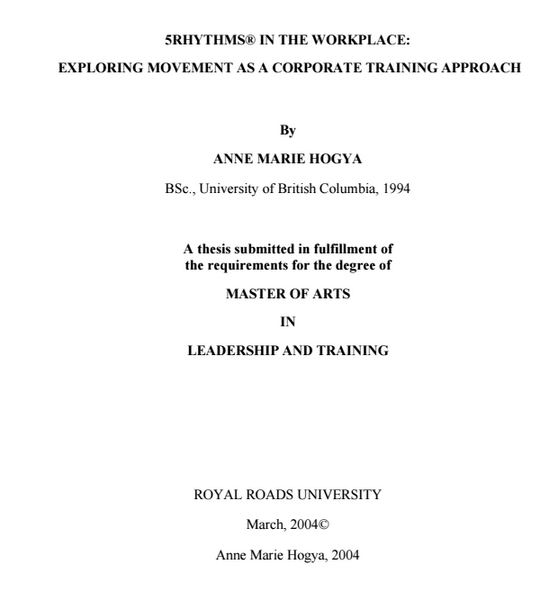 “5Rhythms in The Workplace: Exploring Movement as a Corporate Training Approach”. BSc (Occupational Therapy), MA (Leadership). Occupational Therapist and 5Rhythms Teacher. Victoria, Canada.